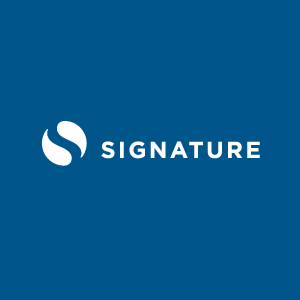 Signature is an interactive marketing company that offers something more than other promotional companies. As a whole, Signature works as a strategic partner to help a company gain as wide a reach as possible with their brand. With its outstanding representatives, the company is able to provide clients with the best lead generation and advertising strategies possible. Instead of providing customers with the chance to see images of a product, representatives let customers experience and enjoy a product in real life which generates immediate results. The company has a large network of retail partners, which gives the firm the ability to create strategically placed marketing and lead generation campaigns. The right retail space is chosen for the right product, and the right area within the space is mapped out to generate the best positioning for great results. Friendly representatives are then hand-picked to ensure that they are the right people to work with the product, and every single representative understands the product in full. By connecting with representatives who understand the product, have used it themselves and know who it provides convenience and lifestyle enhancements, customers feel confident that the product is perfect for them. Not only does this strategy give the customer the chance to learn about the product, but it also allows consumers to enjoy introductory prices that would not be available through other forms of advertisement. This ensures that interest remains in the product, but overall, the quality of the product will sell itself. Signature focuses on working with representatives who are enthusiastic and friendly, but also ensures that the product being represented is of the highest quality. By combining professionalism with a quality product, the best results are yielded.